For over 30 years, PortaFab has provided turn-key cleanroom design and installation services for major corporations worldwide. Our staff of design engineers and clean room design consultants are an asset to architects and general contractors who lean on us to deliver, functional and cost effective solutions. PortaFab's cleanroom line is supported by a nationwide network of contractors that specialize in selling, installing, and servicing our cleanroom systems. 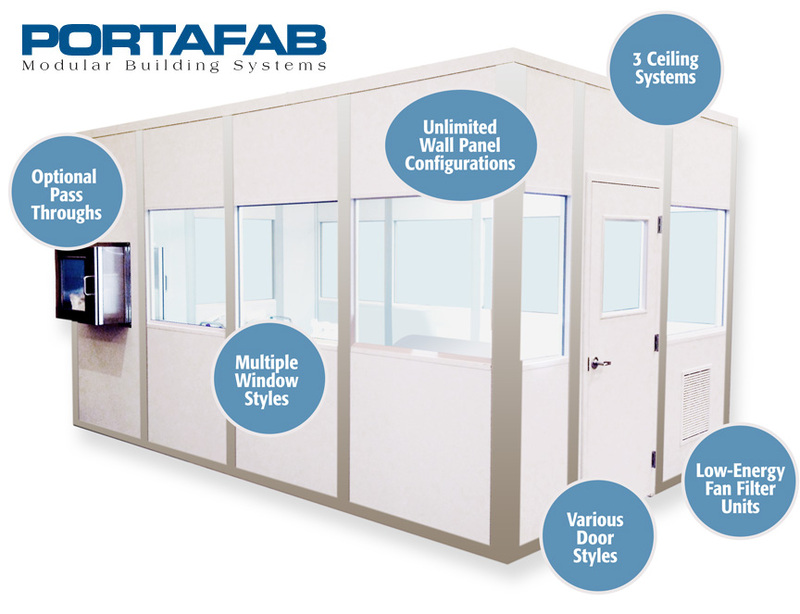 The PortaFab line includes 3 distinct wall systems with numerous interchangeable components to ensure a quick and efficient cleanroom construction process. All of our clean room contractors maintain the highest quality control programs to assure compliance with all critical standards. As independent contractors, they choose to work with PortaFab because our systems are the most cost effective products for constructing quality cleanrooms. Please fill out the following form as completely as possible so that we can match your request to a local cleanroom contractor that best fits your needs.